The WHR-1166D by Buffalo is a wireless AC access point that provides simultaneously up to 966 Mbps tansfer speed in the 5 GHz band, and 300 Mbps in the 2.4 GHz band (combined speed of 1166 Mbps). The Airstation WHR 1166-D AP leverages the latest wireless technologies for Gigabit connectivity. It is backward compatible also with 802.11a/g/n. 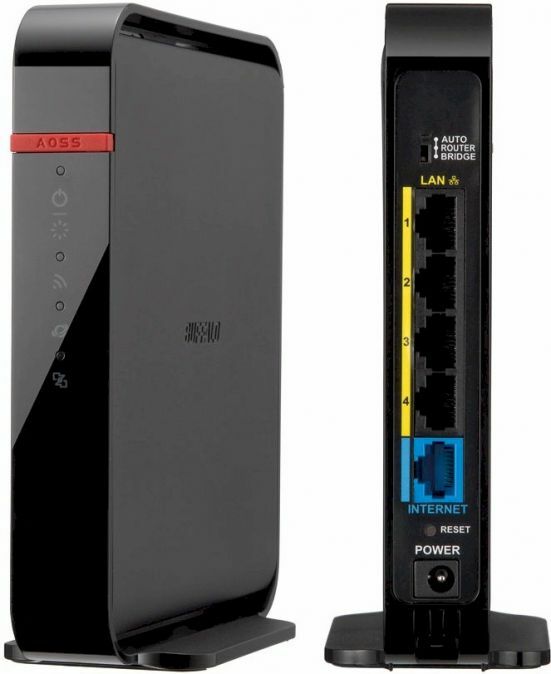 This dual band AP is a smart choice for small office networks, looking to upgrade to a fast 11ac wireless router; it can be used only for home networks in need for high speed media streaming. The WHR 1166D has a WAN Port for future Fiber ISPs. Buffalo offers a 3-years warranty on the product, that is sold at 90$ on Amazon.com.